I am not a great Chinese person. You just need to look ^ (up) at the title of this blog to realise that I am rather crap. But one thing I do strongly believe in is Chinese New Year. Not because I normally get some money from my parents, but I have been brought up to believe in it and much like Christmas, it's a great excuse to go and have fun, and maybe more importantly, eat. Based on the lunar calender, the actual day varies every year, and this year sees it falling on the 14th February. Some are going to be celebrating Valentines Day, but my heart will very much be with welcoming in the year of the tiger. I do not claim to be an aficionado on Chinese New Year, far from it actually. As I have spent my entire life born and raised in the West, my actual knowledge of this celebration is limited to what is celebrated by my family. There are tonnes of eating and non-eating traditions around Chinese New Year and one of the "non-eating" revolves around cleaning your home. For example, you need to make sure you sweep outwards to rid your home of evil spirits, making sure your home is clean 3 days prior to New Years day. After the day of New Year, you are not allowed to clean for a week, otherwise you will be sweeping your luck away. Another of the traditions that we follow in the family is what is known as the reunion dinner. Held on New Years eve, the whole family gets together and eats. 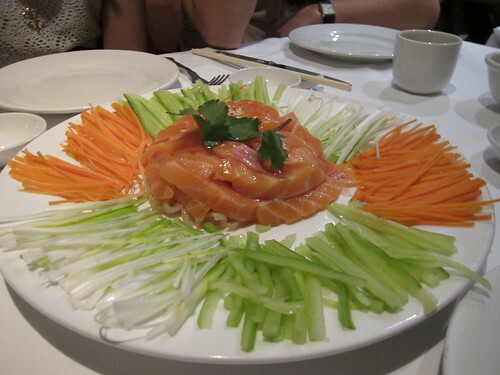 This year (actually, most years), we ate at Mandarin Kitchen. There are a few traditions that we uphold at this meal. 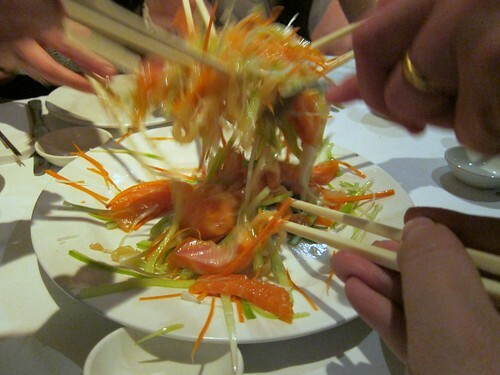 One is ordering "Yee Sang", a raw fish salad. Signifying good luck, this salad is kept as separate constituent ingredients on a single plate before, under strict orders of my mother, the whole family gets stuck in with their chopsticks. Apparently the higher you toss the salad, the better your luck will be. Can't say I believe it that much, but I wasn't taking any chances! 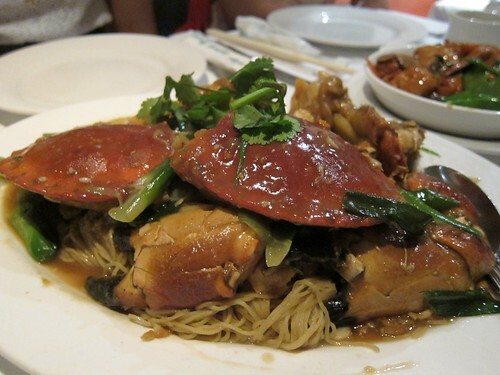 Some people also say steamed fish is essential, although on this occasion, we went for some crab with the obligatory noodles. Noodles symbolise longevity and are an essential ingredient in every Chinese New Year meal. No self respecting Chinaman would dare go without. Writing this has actually been quite difficult. 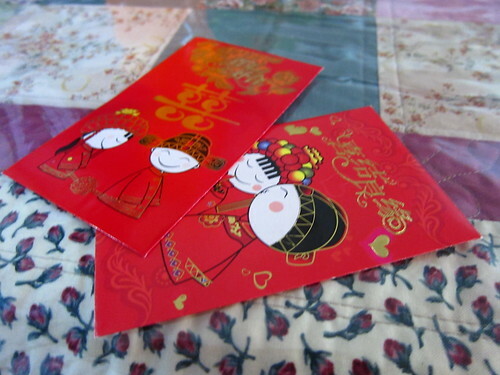 I have never experienced Chinese New Year whilst in a Chinese country and whereas my parents try hard every year to instill within us some tradition and Chinese values, I think sometimes I struggle to understand the true meanings behind the traditions. Essentially, it is a way of bringing family and friends together, so I decided to try and organise another feast for some of the great friends I have made this year. 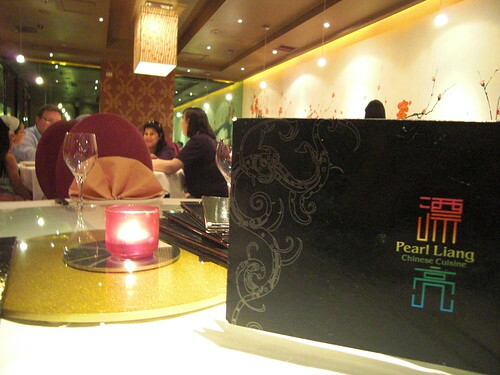 This time, the venue was Pearl Liang (which ironically has strong links with Mandarin Kitchen). After a few discussions (where I had hoped nothing was lost in translation), I managed to book the large private dining room for an "intimate" meal with 16 of my chums. Some foodie related, others just related. We drank and ate and were merry. We ordered plenty but the cornerstone of the meal revolved around two whole suckling pigs. After the initial parade where they were suitably papped by its adoring public, they were whisked away to the kitchens for the crisp skin to be portioned up. On return, the glossy skin was devoured with light and fluffy pancakes, pleasant crunches echoing around the dining room as all conversation stopped. Aaahs of pleasure followed as the skin slowly disappeared to reveal a now rather naked piglet. These were whisked away once again where they were portioned up into three plates and distributed across the three lazy susans. So that was it, my Chinese New Year in a few words and some pretty pictures. Keong Hee Huat Chye to you all (That's happy new year in Hokkien) and here's to a prosperous year of the Tiger! @Diva - I do wish I knew more about my culture, but totally agree, I love Chinese New Year and I love learning more and more about it! @Catty - Next up, KARAOKE!!!! 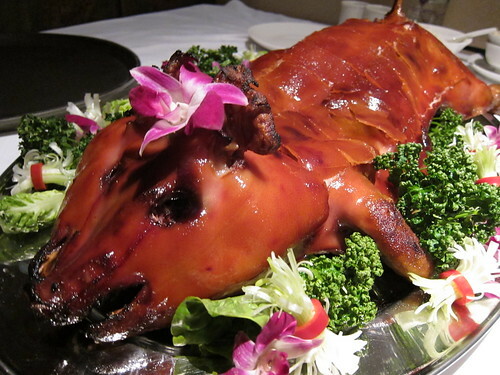 Ah, I didn't get a chance to 'lau yee seng' this year round but I must say that the suckling pig looks delightful! I don't suppose you tried the lobster noodles at Pearl Liang? Read from Giles Cohen that the master chef from Mandarin Kitchen have joined Pearl Liang and he's supposed to be good at that dish. Oh, here's wishing you a properous Chinese New Year! @LondonChow - I think Mr Coren is slightly behind the times as I believe the chef and the FOH moved over the Pearl Liang when it opened. I may be wrong, but have been going to both for years. The lobster noodles at PL are good, but I always go back to MK! Thanks for organising CNY feast. I particularly liked the crispy shards of pig skin in fluffy steamed pancakes. And the tofu was brilliant too. Actually, it was all tasty. 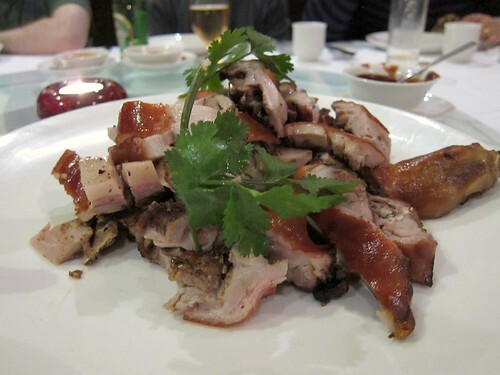 Wong Kei - Home of the "Crispy"